A journey of a thousand miles begins with your choice of the perfect travel luggage. The real nightmare comes in when most people think of choosing the best luggage companion for trips. When it comes to identifying the perfect from the bad travel luggage, whether online or in physical stores, the process can prove to be both time consuming and confusing. The choice may vary along luggage brand, size, durability, cost, weight and features (including locks, straps, wheels and others). Below we have gathered a range of tips you may consider while selecting your best luggage brand. To ensure that you have the perfect luggage, the options you may consider include suitcases, weekend bags, trunks, trolleys, roller cases, garment carriers, gym bags, duffel bags, mobile offices, and totes. The choice entirely depends on the reason and duration of your travel. If you are wondering how to get these, the Samsonite cabin luggage got you covered. Consider the tips below to make your choice. How long you have to travel says a lot about the luggage you can choose. If you are going for a weekend trip, a lightweight carry-on is ideal because you wouldn’t want to suffer the burden of a heavy luggage for a trip that will only last a day or two. In case you plan to travel for long though, it’s very important to think of every single item you cannot do without while on the trip because you wouldn’t want to make unnecessary expenses buying items you left at home because of the smaller luggage you bought. You don’t want to hustle with a luggage too big for you to carry, especially when you are travelling solo. Consider just the right size for your items (not too big and not too small). It is also good to check with the commendable size for airlines so that your bag will also be appropriate for international travel. However, since travel luggage is often costly, it is good to consider a “one-size-fits-all” luggage. As you chose which luggage to purchase for your favorite destination, you might also want to rethink whether quality over cost or the other way round. You may also want to choose one that will not cost you a fortune right after buying it. Therefore, put into consideration the hurdles you may come across during your trip. You don’t want to be politely asked to step aside from the queue as the rest are checking in simply because you don’t remember how to open your luggage or because one of the straps is broken and you can’t get immediate help with your luggage. Before buying any travel luggage, be sure to know how to use all handles, straps, zippers, security locks, and the wheels just to be sure they won’t be a reason for your embarrassment. Special Tip: Never bring home a suitcase/bag you have not learned to open/lock. When choosing which luggage to buy for your trips, it is ideal to consider unique colors that you can easily identify from other travelers’ luggage even at a distance. Yes, black has been the universal color for long now, but there are other colors that can be considered. Also importantly, to avoid embarrassment because you have been traveling for over a month with no time to clean your luggage, it’s good to avoid colors that will show signs of either over handling or dirt (for instance white and cream). A traveler with messy luggage at the airport sends out a very strong message about themselves to everyone else. While purchasing your luggage, especially for those with wheels, it is important to consider the fact that some destinations may not account for smooth floors where you will easily move your luggage. The perfect travel luggage is one that can easily be moved on any kind of floor or pathways (smooth, rough, or bumpy) without causing damage to wheels. Strong and tightly fixed wheels will do a good job to save you the trouble on this. Quality travel luggage is usually expensive, and if you are to consider investing a decent amount of money in one of the best, you would not only want it to last but also purchase from a decent and trusted manufacturer. It is good to agree with your provider on a warranty for the item(s) you have purchased. This way, it will ensure both reliability and security on your side. Before settling in with luggage to buy, it is important to research and read about the brand you want to buy. Most often people who have used it before have shared their experience either to recommend the particular brand, size and features or to share the bad experience they had using it with hope for improvement. Make time to visit the store if you are buying physically to be sure that what you are buying matches with the review you found, and if you are buying online, make your order in time so you can be able to send it back in case it doesn’t fit your expectations. When you actually think about it, the more you plan for the appropriate luggage for your trips ahead of time, the less stressful and more fun-filled your trips become. 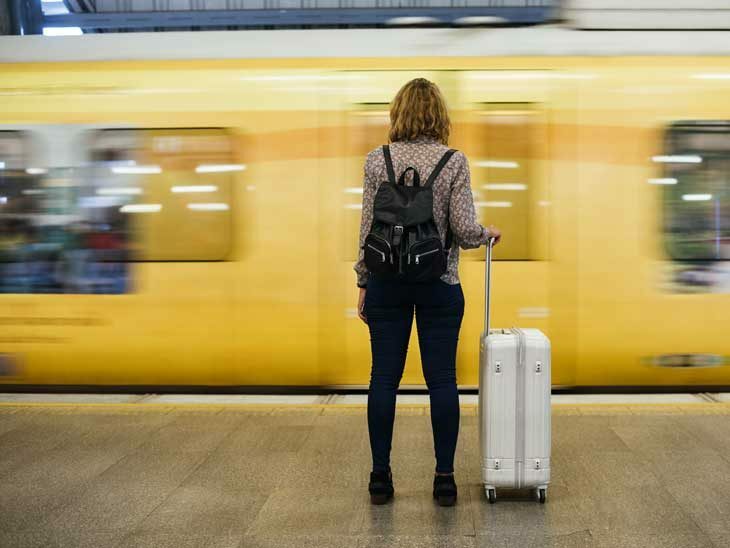 Since the planning may take you out of your comfort zone to spend more on your luggage, it is important that you take time to budget and put all important factors into consideration. This will not only help you get the perfect luggage for your trips, but also save you from a lot of panic attacks caused by damaged luggage in the course of your trip. In the end, it is all worth it when you sit back, relax and enjoy your trip with a lot of ease. Don’t spoil your travel mood when you can make it the best! What is your best tip for choosing the right luggage? Please share in the comments below, on Twitter, Facebook , Instagram or Google+.